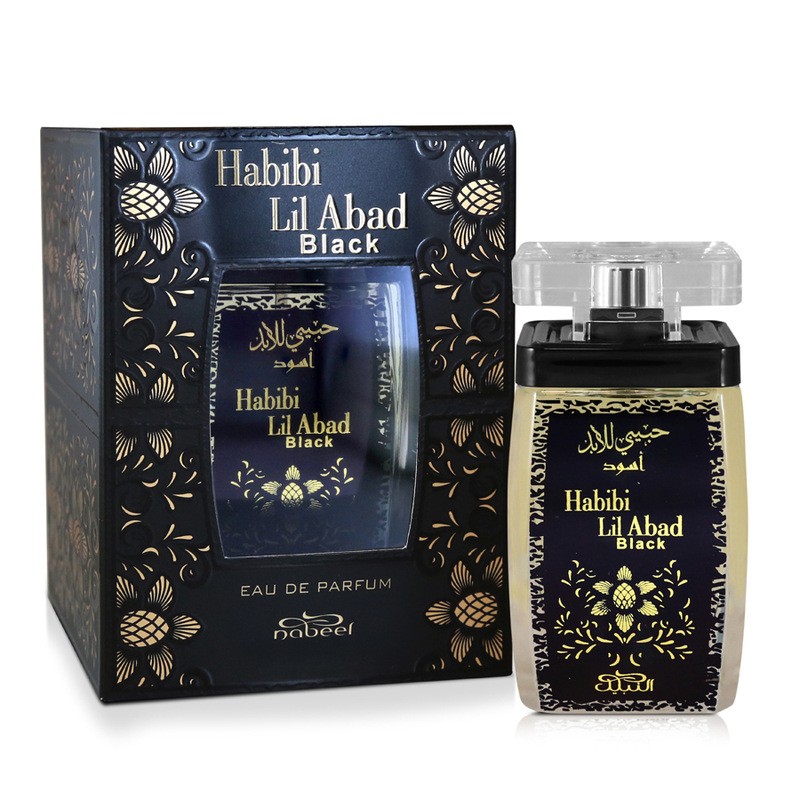 Celebrating poetic love, words expressing the essence of eternal love, Habibi Lil Abad Black symbolizes the depth of undying love. 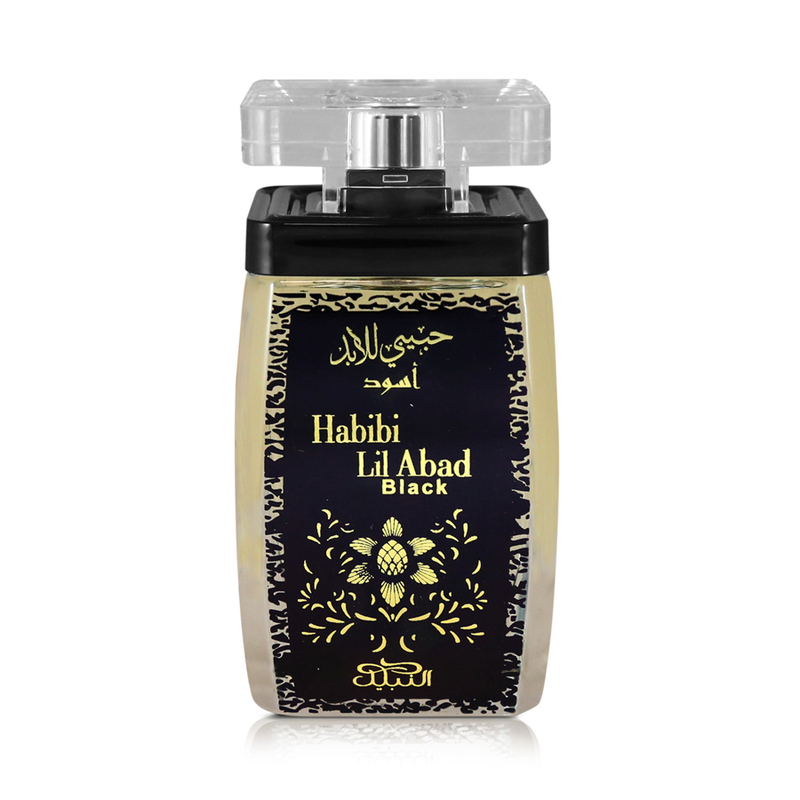 The unisex fragrance envelops you in waves of the spicy scents of apple, red pepper and oudh and the oriental woody flavours of musk and sandalwood. The spray is housed in a bottle designed in black and gold and crowned with a clear surlyn bottle cap.